You can now download Legends II, a fantasy anthology edited by Robert Silverberg, for only 2.99$ here. There is a price match in Canada. 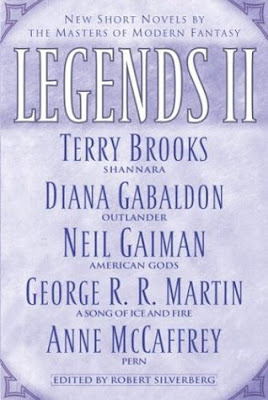 An acclaimed anthology of original short novels by some of the greatest writers in fantasy fiction, including Terry Brooks, Diana Gabaldon, Neil Gaiman, George R. R. Martin, and Anne McCaffrey. Legends II picks up where its illustrious predecessor left off. 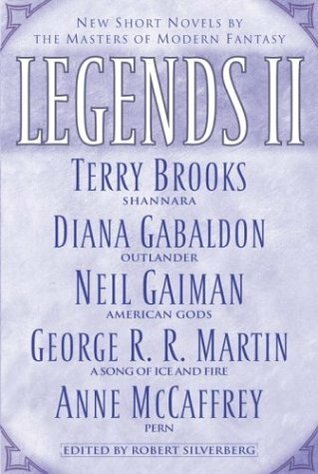 All of the bestselling writers represented in Legends II return to the special universe of the imagination that its author has made famous throughout the world. Whether set before or after events already recounted elsewhere, whether featuring beloved characters or compelling new creations, these masterful short novels are both mesmerizing stand-alones—perfect introductions to the work of their authors—and indispensable additions to the epics on which they are based.